You may not be required to have both splits to make the team. But if the girl who is trying out next to you does, you will wish you did! Every day you should walk, run or bike for 20 – 30 minutes. After an aerobic workout your body will be hot and your muscles will be loose. Then stretch and exercise for 30 minutes. This should include crunches, pushups, lunges, straddle stretch, runner stretch, half splits and full splits. Hold each stretch for 20 -30 seconds and do not bounce! Exercise some more and then repeat your stretch. 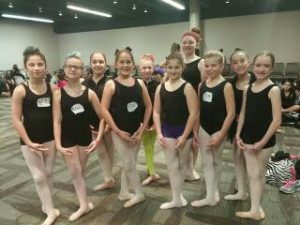 Find a professional teacher who can help you gain the technique you need in pirouettes, kicks and leaps. Our studio offers classes and camps throughout the year geared to helping teens achieve these goals. We also offer a Kick Company which is a training ground for dancers preparing to audition for their high school dance team. Dancing is a great way to make life-long friendships. Working with other dancers who will also be trying out is a great way to make sure that you know your routine and combos well when the big day comes. After the tryout clinic each day try to get together with one or two of your fellow dancers to review what you have learned. Remember that these dancers are like you in an important way: they love to dance! You are dancing. Dress like a dancer. Whether or not you are required to wear dancewear for your rehearsal, you should do it! Find a nice black leotard that has a high neckline. Wear dance shorts or pants that fit you well. Learn to put your hair up in a neat ponytail or bun. Use bobby pins, barrettes, head bands, gel or hairspray to help it stay up and away from your face. Your jazz shoes should fit your feet snugly without a lot of extra space in the toes. Put a little makeup on and do not forget your deodorant! For the tryouts remember to wear long black socks under your jazz pants. The extra bit of effort it takes to be ready for rehearsals and tryouts will help you feel more confident and prepared. The biggest challenge to a young dancer is not the many difficult steps that you will be asked to perform. It is having the confidence to face the task before her. Realize that many girls are trying out and whether or not you are chosen is not up to you. All you can do is do your very best. Set your goals before you arrive at tryout camp. Work your hardest to meet those goals but do not allow yourself to fret if you do not have them. If you can show the judges that you love to dance by the huge smile on your face and the way you stand up straight and tall then you will make a great impression on them. A dancer with confidence conveys to the observer that she will continue to work and improve. She will not be her worst enemy. She will succeed even if that means trying again and again. Good Luck to all of the young ladies trying out for the HiSteppers. You have worked hard and your dedication is evident in your dancing and the way you carry yourselves now. Smile Big and Enjoy the Journey!! Head to Toe Dance is Dripping Springs, Texas’ premiere dance studio. 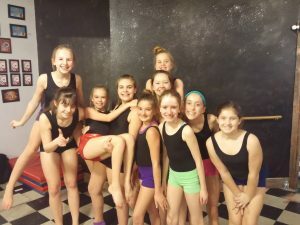 Anne Brown (formerly Anne ­­­­Barker), the Owner and Director, tells us that it is a small town dance studio with a big heart. Located on the cozy main street of town, Mercer Street, Head to Toe is always bustling with energetic young dancers. The studio strives to provide an environment where dancers learn and grow as dancers and as individuals. Head to Toe Dance is a terrific place! Anne has been teaching dance in the Central Texas area since 1988. She studied ballet, tap, jazz and modern dance as a child in Houston and then in Austin under Dianne Greg with the Next Generation Dance Company. Anne then majored in Music Education and completed her minor in Dance at Stephen F. Austin University in Nacogdoches and then at the University of Texas in Austin. Teaching drill team, dance, and gymnastics has been a lifelong pursuit for Anne. In addition to being a busy mother of three children (ages 16, 19, and 21) and a new bride, Anne is also currently the director of the award winning Head to Toe Dance Performance Company. In the first nine years of business, Head to Toe has offered classes for children 3 – 18, participated in numerous competitions, and presented wonderful Spring Recitals. 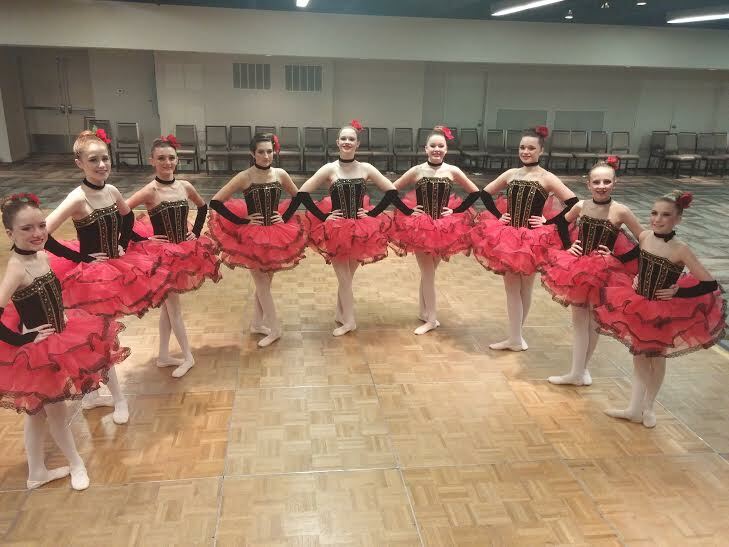 Head to Toe Performance Company has taken groups of dancers to national dance convention and competitions in San Antonio, Houston and Dallas, Texas where they received many 1st and 2nd place trophies, as well as Platinum and Gold Awards. Head to Toe has performed at several community events including Founders Day Festival and Parade, Christmas on Mercer Street, Trail of Lights Festival, the Founders Day Parade, and the Jazz for New Orleans Benefit. Now entering its eleventh year Head To Toe Dance exists to offer quality dance instruction to children and adults in the Hill Country area. They offer classes that both challenge and encourage dancers. Building self esteem, confidence and discipline is valued just as highly as skills such as flexibility and alignment. 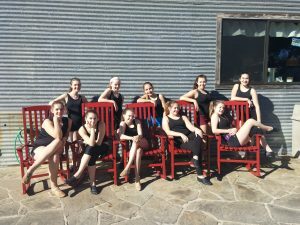 Currently offering classes in Ballet, Tap, Jazz, Contemporary, Hip Hop, Dance Team Prep, Modern, Pointe and Gymnastics, Head to Toe is committed to broadening arts opportunities in Dripping Springs. Developmentally appropriate classes are available for children from 18 months to Senior Citizens and for the beginner to the most advanced levels. From classical ballet to the latest hip hop, most of their dancers train in a wide variety of dance genres. Their youngest students (2 and 3 year olds) start with a basic creative dance class that incorporates ballet, tap, and tumbling. At 5 yrs of age, their students also begin training in Acro and some join their dance company. In Second Grade, some students join their Fun, Exciting and Rated PG hip hop class. Fourth Graders are excited to join Contemporary Class – a wonderful, expressive way to explore movement. Their Middle School Dancers often train in the Kick Company for a future in a High School Dance Team. This year their Company, which is 47 members strong, is traveling throughout Texas performing, learning and competing on a regular basis. Dancers ages 5-21 train with their company in ballet, tap, acro, jazz, modern, musical theater and hip hop. Anne feels that there are quite a few memorable moments in her coaching career, but one that really stood out for her was last year at their 10th Annual Spring Show. She was so proud of their dancers and what they had built together. The students and families really celebrated the milestone with joy and excitement!! In Anne’s opinion, the biggest mistake she sees dancers make is not believing in themselves enough to really work for what they want. She sees dancers resign themselves to the same mistakes and struggles year in and year out. How to fix it? She says they should get determined!! She believes you can overcome whatever you struggle with. Listen to your teacher. Ask for help. Practice, practice, practice and if all else fails take another ballet class!! Anne has a number of goals for the next year. As a business woman, her goal is to make business procedures run smoothly and effectively. Also, she would like to build their program for Preschoolers and have three active preschool classes in the year 2015. Head To Toe has recently added an Acro program and they are implementing a new curriculum for their Acro classes. Additionally, she would like to run an organized and happy competition season. It’s not all about winning. She wants their kids to do well and learn life lessons while they are there. She appreciates that their studio family is supportive, patient and works together. Anne started a studio because she had taught for many years and wanted the artistic freedom to choreograph and direct some projects that she had been thinking about for years. She loves working with kids, seeing them grow and progress. Please post a comment if you have had any experience with Anne Brown of Head to Toe Dance. 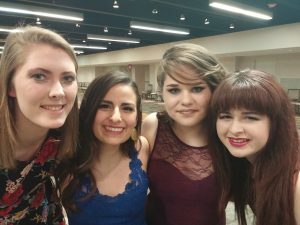 If you would like more information about Head to Toe Dance, visit their website at www.headtotoedance.com, call them at 512-789-9683 or email them at anne@headtotoedance.com. You can also like them on Facebook, follow them on Twitter, watch them on YouTube and connect with them on Instagram. Originally posted on: BDancewear.com You can visit their site to learn more about dance wear. Head to Toe Dance offers many opportunities for dancers to perform and be part of a team. Our company dancers start as young as 5 dance through high school and college. 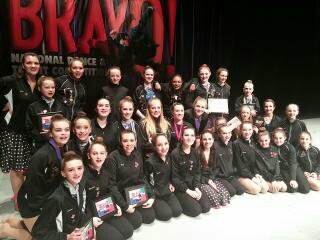 This year our dancers have attended two conventions and taken classes from world renowned teachers. They have danced in festivals and have spent countless hours in rehearsals. We are currently enjoying a very active competition season. Dancers make life long friendships in our program. Many of them dance together for most of the years of their childhoods. Their families spend weekends and vacations together. The memories and lessons learned are priceless. Our auditions are in May. Consider joining our Company family. You won't regret it. Dance is so much more than learning steps. Dance is about confidence. What does your dancer learn at Head to Toe Dance? She learns what it means to act like a lady. He learns to be a gentleman. The etiquette required in a dance school will bring our dancers far in life. Dancers are expected to say hello, goodbye and thank you to their instructor. They answer politely when spoken to. They are respectful to fellow dancers. They are held responsible to keep up with their belongings. They learn to not interrupt. A Head to Toe Dancer will one day walk into the workforce, a college interview, or an important business meeting with the skills to respect others and to earn the respect of others as well. The biggest challenge to a young dancer is not the many difficult steps that you will be asked to perform. It is having the confidence to face the task before her. Realize that many girls are trying out and whether or not you are chosen is not up to you. All you can do is do your very best. Set your goals before you arrive at tryout camp. Work your hardest to meet those goals but do not allow yourself to fret if you do not have them. If you can show the judges that you love to dance by the huge smile on your face and the way you stand up straight and tall then you will make a great impression on them. A dancer with confidence conveys to the observer that she will continue to work and improve. She will not be her worst enemy. She will succeed even if that means trying again and again. Good Luck to all of the young ladies trying out for the HiSteppers. You have worked hard and your dedication is evident in your dancing and the way you carry yourselves now. Head to Toe Dance is Dripping Springs, Texas’ premiere dance studio. Anne Brown (formerly Anne ­­­­Barker), the Owner and Director, tells us that it is a small town dance studio with a big heart. Located on the cozy main street of town, Mercer Street, Head to Toe is always bustling with energetic young dancers. The studio strives to provide an environment where dancers learn and grow as dancers and as individuals. Head to Toe Dance is a terrific place! Anne has been teaching dance in the Central Texas area since 1988. She studied ballet, tap, jazz and modern dance as a child in Houston and then in Austin under Dianne Greg with the Next Generation Dance Company. Anne then majored in Music Education and completed her minor in Dance at Stephen F. Austin University in Nacogdoches and then at the University of Texas in Austin. Teaching drill team, dance, and gymnastics has been a lifelong pursuit for Anne. In addition to being a busy mother of three children (ages 16, 19, and 21) and a new bride, Anne is also currently the director of the award winning Head to Toe Dance Performance Company. In the first nine years of business, Head to Toe has offered classes for children 3 – 18, participated in numerous competitions, and presented wonderful Spring Recitals. 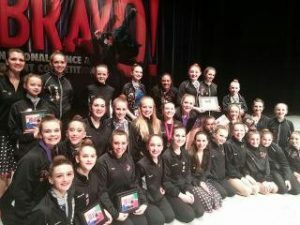 Head to Toe Performance Company has taken groups of dancers to national dance convention and competitions in San Antonio, Houston and Dallas, Texas where they received many 1st and 2nd place trophies, as well as Platinum and Gold Awards. Head to Toe has performed at several community events including Founders Day Festival and Parade, Christmas on Mercer Street, Trail of Lights Festival, the Founders Day Parade, and the Jazz for New Orleans Benefit. Now entering its eleventh year Head To Toe Dance exists to offer quality dance instruction to children and adults in the Hill Country area. They offer classes that both challenge and encourage dancers. Building self esteem, confidence and discipline is valued just as highly as skills such as flexibility and alignment. From classical ballet to the latest hip hop, most of their dancers train in a wide variety of dance genres. Their youngest students (2 and 3 year olds) start with a basic creative dance class that incorporates ballet, tap, and tumbling. At 5 yrs of age, their students also begin training in Acro and some join their dance company. In Second Grade, some students join their Fun, Exciting and Rated PG hip hop class. Fourth Graders are excited to join Contemporary Class – a wonderful, expressive way to explore movement. Their Middle School Dancers often train in the Kick Company for a future in a High School Dance Team. This year their Company, which is 47 members strong, is traveling throughout Texas performing, learning and competing on a regular basis. Dancers ages 5-21 train with their company in ballet, tap, acro, jazz, modern, musical theater and hip hop. Anne feels that there are quite a few memorable moments in her coaching career, but one that really stood out for her was last year at their 10th Annual Spring Show. She was so proud of their dancers and what they had built together. The students and families really celebrated the milestone with joy and excitement!! In Anne’s opinion, the biggest mistake she sees dancers make is not believing in themselves enough to really work for what they want. She sees dancers resign themselves to the same mistakes and struggles year in and year out. How to fix it? She says they should get determined!! She believes you can overcome whatever you struggle with. Listen to your teacher. Ask for help. Practice, practice, practice and if all else fails take another ballet class!! Anne has a number of goals for the next year. As a business woman, her goal is to make business procedures run smoothly and effectively. Also, she would like to build their program for Preschoolers and have three active preschool classes in the year 2015. Head To Toe has recently added an Acro program and they are implementing a new curriculum for their Acro classes. Additionally, she would like to run an organized and happy competition season. It’s not all about winning. She wants their kids to do well and learn life lessons while they are there. She appreciates that their studio family is supportive, patient and works together. Anne started a studio because she had taught for many years and wanted the artistic freedom to choreograph and direct some projects that she had been thinking about for years. She loves working with kids, seeing them grow and progress. Please post a comment if you have had any experience with Anne Brown of Head to Toe Dance. If you would like more information about Head to Toe Dance, visit their website at www.headtotoedance.com, call them at 512-789-9683 or email them at anne@headtotoedance.com. You can also like them on Facebook, follow them on Twitter, watch them on YouTube and connect with them on Instagram. 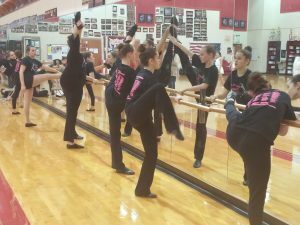 Head to Toe Dance offers many opportunities for dancers to perform and be part of a team. Our company dancers start as young as 5 dance through high school and college. This year our dancers have attended two conventions and taken classes from world renowned teachers. They have danced in festivals and have spent countless hours in rehearsals. We are currently enjoying a very active competition season. Dancers make life long friendships in our program. Many of them dance together for most of the years of their childhoods. Their families spend weekends and vacations together. The memories and lessons learned are priceless. Our auditions are in May. Consider joining our Company family. Dance is so much more than learning steps.